A unique look at classic German-inspired beer styles, skewed slightly by a sense of play and adventure. 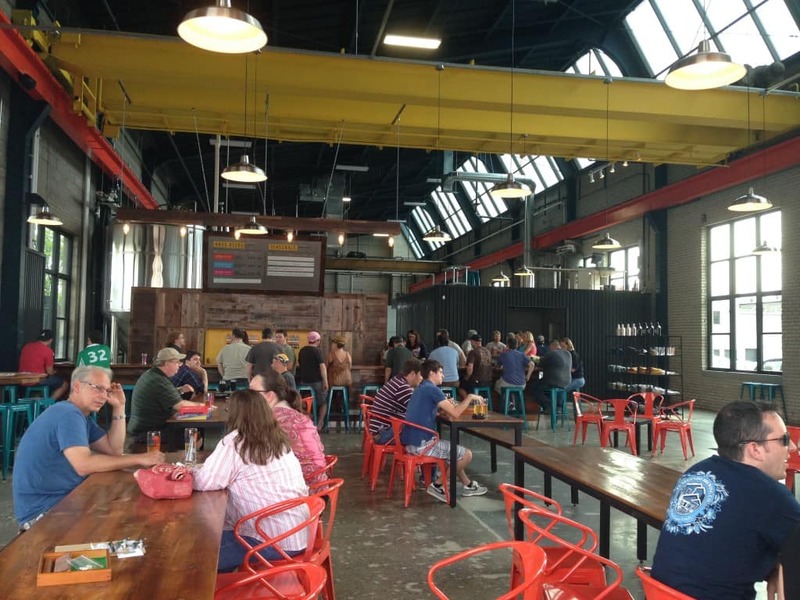 Looking for the coolest warehouse and the biggest and best taproom patio currently out there? Look no further than Bauhaus Brew Labs. The big open warehouse space of Bauhaus gives it a bit of an industrial feel while the long German style tables mean you may make new friends. Think you don’t like lagers? Think again. Bauhaus has 3 as part of their lineup and I’m sure you’ll find one you not only like but love. Space inside the brewery taproom is plentiful with 3 long tables with Bauhaus logo-matching colored chairs. There’s a stage for live music and a small stand of logo merch to purchase. While the inside space is great, the patio is where it’s really at. It has plenty of table space, a stage for more live music and it’s covered for even in the rain it’s a great place to enjoy a local brew. The light strings make the patio feel a bit magical at night as you enjoy pints with friends. Look for a couple of the brewery owners to play occasional live shows at the taproom and be sure to check out what the food truck have to offer. To get to Bauhaus, you have to drive through the archway between two buildings on Tyler St NE and into their lot. The parking lot is big and holds plenty but at very busy times it can be full. Simply go around the brewery building to the right and there is a ton of additional parking that should always be plentiful. Not currently but Bauhaus is already canning their tasty offerings so look for them in local liquor stores. Bauhaus has started offering tours on the first Saturday of every month. Participants can reserve their spot on a first come/first serve basis. A small fee includes a full flight of all of the Bauhaus wares. Here’s tour guide Ryan Anhorn giving it a dry-run. They assure us they’ll work out all the kinks by the time you’re looking to schedule yours. Sign up for a tour on here their website. There’s always something tasty to find at Bauhaus. Check out their website for the current schedule of food trucks at the taproom. If you’re looking for something a bit lighter and more sessionable with a ton of flavor or something a bit more German-style, be sure to check out Bauhaus. It’s just steps from 612Brew and just over the train tracks from Sociable Cider (just down the same train tracks from Indeed Brewing too). 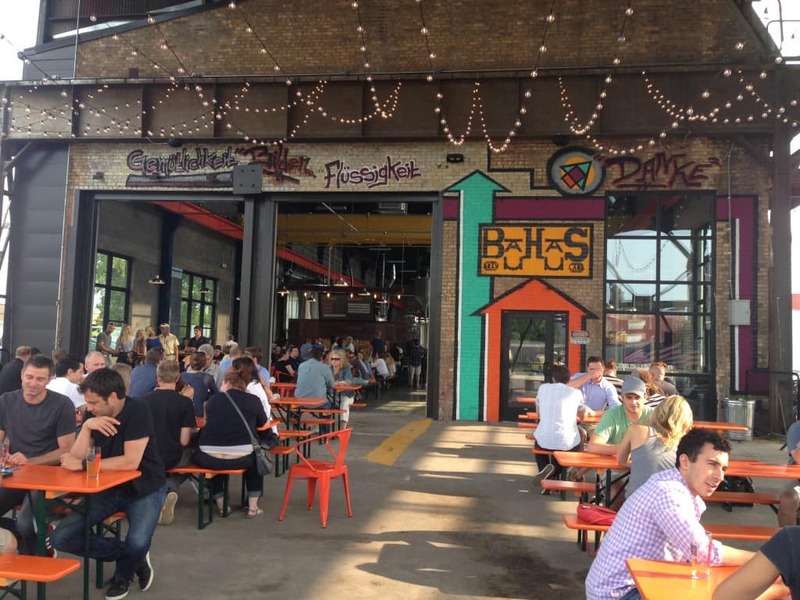 Get more information about Bauhaus Brew Labs and be sure to enjoy the patio no matter what the weather.